Whether you are into really into beauty or not, even the simplest beauty routine requires some care and planning when you have eyelash extensions. Eyelash extensions can make your morning routine more efficient and simple. What about every other day? 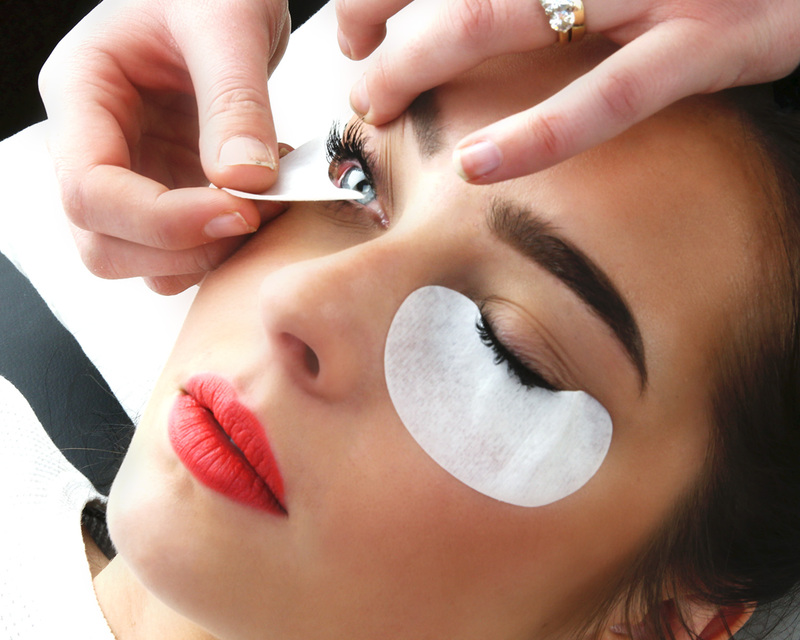 Read on to learn what to use and what to avoid when you have eyelash extensions. This doesn’t mean that you have to give up your favorite moisturizer or serum completely, it just means it shouldn’t be used around the eye area while you have extensions. By all means, slather that boujee La Mer cream all over your face, just keep the eye area free from those products. If you are wondering why, here’s a quick run down: Oil based products can make your extension retention a nightmare. You don’t want to spend money getting a full set or fill only to have the extensions prematurely fall out. Eyeliner, although a staple in many beauty routines across the world, is really not necessary when you have extensions. 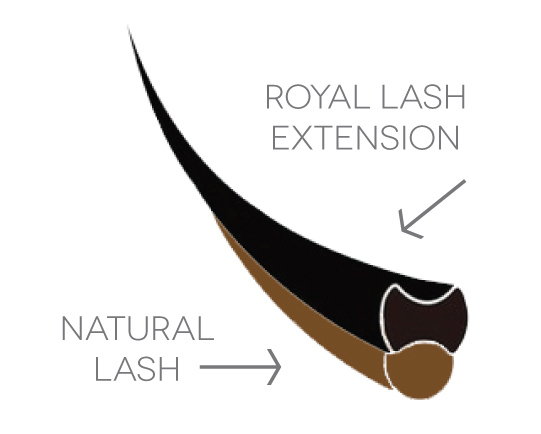 Extensions have the beautiful capability of making a dark, dense lash line all by themselves. Eyeliner can cause a mess at the base of the extensions, especially if your absolute favorite eyeliner is of the kohl or gel variety. If you can’t live without eyeliner when you have extensions, we recommend an ink liner or gel liner with a matte finish. Overall, they are less likely to disrupt your extensions or make your lash artist crazy when she’s trying to do a fill. We’ve all been there. Your favorite lash artist can’t get you in or you had to put off a fill because of a last minute business trip. DON’T grab just any mascara to fill in the gaps. 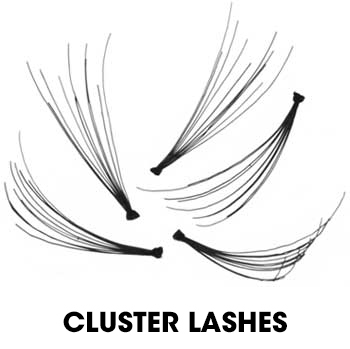 Because of the structure of eyelash extensions, you need to be very careful and wary of what kind of mascaras you put on those fluttery babies (especially if you have volume extensions). We recommend using a thin formula that is made without oils but has sealers to help extend the life of your remaining extensions. Luckily, we’ve got the edge in this category. Our Natural Touch Mascara and Perfect Touch Mascara are thin enough to be removed with water but black enough to conceal those light colored lashes around your extensions. While creamy eyeshadows typically pack a pigmented punch, they aren’t recommended for anyone with eyelash extensions. You must realize by now that to make your favorite cream eyeshadow, well, creamy, oil typically is present. If you must use eyeshadow while you have eyelash extensions, go for a matte powder eyeshadow. After your day of beautiful eyeshadow is over, make sure you are using an eyelash extension specific cleanser to remove all the residue on (and in between) your lashes. Concealer is a big part of many makeup looks. Concealer can fake a full night’s rest and even help make a scary breakout look better. Although most concealers contain glycerin (aka oil! ), we think any variety you use can be extension safe if it’s set with a loose powder to wick up most of the oil left. Plus, you’ll be glad for the extra staying power that setting powder can provide. Don’t throw out all your favorite makeup products when you get eyelash extensions. We recommend doing a little research, but you don’t have to leave everything behind just to help retention. Catch more quick tips on our Instagram page (@bellalash). Let us know below if you found this helpful!